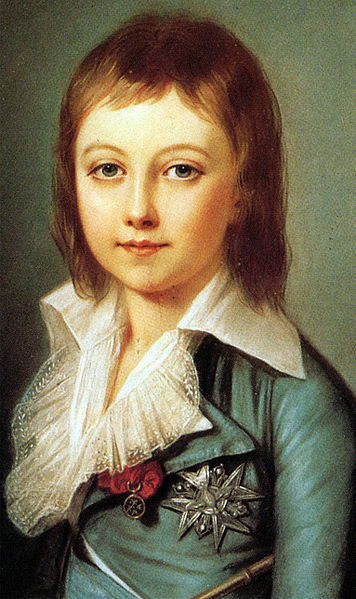 "Maria Josepha was born on 4 November, 1731 in Dresden Castle to Frederick Augustus II, Prince-Elector of Saxony and King of Poland, and Maria Josepha of Austria, the daughter of Joseph I, Holy Roman Emperor"
I would think that there would be someone out there who would share the same patriline or matriline who could be tested for confirmation (and a confirmation on either side would lend credence to the direct test of the blood itself due to the rarity of the haplotypes involved). It certainly wouldn't be unusual for aristocrats to be genetically atypical of the population as a whole. Also, the percentage of the total population who have been tested for Y-DNA and mtDNA types is still tiny, so it wouldn't be that surprising for a rare type to escape testing. The French royal line is probably overrepresented in the population. But, there is no particularly good reason to think that this should be on the scale of Gengis Kahn or other truly notable patrilineal line founders. The French did not, by and large, seize their territory in an episode of conquest by outsiders either. 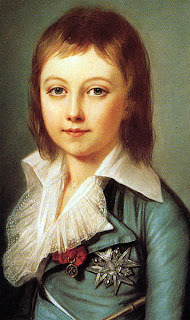 The French monarchy was founded by a Christian convert, which limited polygamy as a tool for leaving large numbers of descendants, and the systemic effort to kill aristocrats in the French Revolution (and in the Russian Revolution and other similar uprisings across the Continent) was also probably not helpful to their place in the gene pool, nor was the fact that high aristocrats had a continent wide marriage pattern that prevented the accumulation of high frequencies of their descendants in any one location. The end of his line in favor of Napoleon, also prevented the privilege of aristocracy from providing an advantage during the population surge of the 19th and 20th centuries. "Wikipedia tells me that Louis XVI's patrilineage goes all the way to Robert the Strong, and his matrilineage to Catherine of Mayenne." Catherine was of Italian descent. "During Julius Caesar’s campaigns in this area in the 1st century BC, the Belgae united against Caesar. The Atuatuci were too late for the general Belgic muster and defeat by Caesar; they retreated to their town where the Romans besieged them. They decided to surrender and gave up most of their weapons, but next day sortied against the Roman troops, who defeated them. The day after, the Romans broke down the undefended gates and sold the entire tribe of the Atuatuci into slavery. The Tungri, more friendly to the Romans, took their place. The town grew into a sizeable settlement known as Atuatuca Tungrorum. Located on the important road linking Cologne to Bavay via the relay of Liberchies, and surrounded by the fertile lands of the Hesbaye region, the settlement quickly became one of the largest Gallo-Roman administrative and military towns in the 1st century. 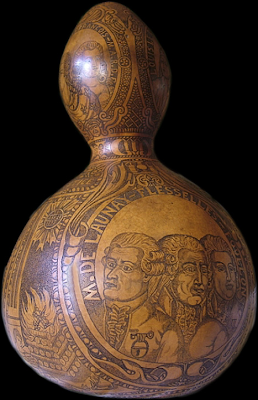 Atuatuca Tungrorum suffered from a destructive fire during the Batavian siege in 70CE. In the 2nd century, it erected a defensive wall, portions of which can still be seen today. Typical Roman buildings were built in town, while villas and graves (tumuli) dotted the surrounding area. In the 4th century, the city became the center of a Christian diocese – one of the earliest in the Low Countries – under the influence of Saint Servatius, bishop of Tongeren, later or also bishop of Maastricht, who died in 384CE. It may have been destroyed by the Huns in 451CE. The Merovingian period between the 5th and the 8th century is not well documented. The building of a new church and the foundation of a chapter of canons took place in Carolingian times, at the very place where the old bishops’ houses stood, and where the basilica still stands today." N1b and G2a are both found in Italy in at above average frequencies and the absence of a specific sublineage in the data, given the paucity of sublineage data, wouldn't be surprising. "I find it interesting that the presumptive haplogroup of Louis XVI was G2a, the same as 2 of 5 warriors from Merovingian Bavaria (7th c. AD)." "Catherine was of Italian descent"
Here are a few links from which one can trace Louis XVI´s matrilineal ancestry. From Mareuil,Paynel(Pesnel) lords of Olonde at Normandie,Le Carpentier de Lezeaux Vicomtes de Carentan and Brissehoule. The location of all those families is Normandie. The last ancestor i´ve found is a Brissehoule, of which there is very little information, but surely from Normandy also. http://genealogics.org/descend.php?personID=I00165007&tree=LEO&displayoption=female&generations=6. This the matrilineal ancestry of Louis XVI. The most ancient ancestor is Louise de Mareuil. http://jm.ouvrard.pagesperso-orange.fr/armor/fami/m/mareuil.htm.This is a complete genealogy of family Mareuil. What appears as Louise in previous link is probably Jeanne, fille de Guy de Mareuil et epouse de Guy de Montpezat. That´s the weak link. Here can be found the ancestry of Jeanne de Mareueil. Wikipedia article on Paynel family. http://racineshistoire.free.fr/LGN/PDF/Paynel.pdf. The link to Le Carpentier de Lezaux et Brissehoule. Here the research seems to have found a dead end. living today. See www.genealogics.org. These folks have paper trails that are the epitome of strong. Of course, some coube be descendants of bastards, but most will not be. that have fairly recent all-male connections. Of course, these are cousins, not descendants. Re. a possible ancient Italian origin of this G2a3b1 I can say that the closest to Louis XVI on SMGF are a German (Kuntz : ID 62H6Y) and an Italian (Gabaglio : ID MYTGU). The closest line is certainly the German one, but this haplogroup G, very thick in many Italian regions, was born probably here and in very ancient times. I should study deeply the question, but the presence of many Italians among Germans on SMGF makes me think that the origin is in Italy and the Central European ones derive from here in many different times. The article confused the lines of descent. Catherine de Mayenne had an italian paternal line not a maternal. His Royal Highness Henri, the Grand Duke of Luxembourg, is in his pure patrilineal line a descendant of Robert the Strong. 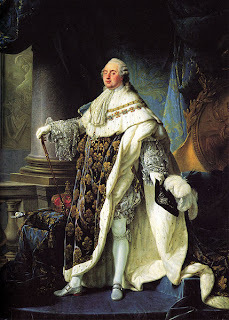 So, his Y-DNA should be the same as the one of King Louis XVI. Researchers could ask him to give permission for studying his Y-DNA. The results would be very useful for historic studies. A test of Henri would also mirror the African example of doing the first complete genomes of famous local leaders, thereby overcoming cultural reluctance to testing which European aristocrats share. As well as the Grand Duke of Luxembourg, of course the royal house of Spain ought to match as well. 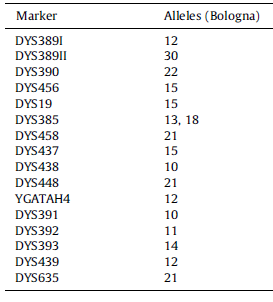 I have the same DNA haplogroup and almost the exact same set of markets and alleles listed. My family came from Lucera, Italy and then to Biccari, Italy. If you search wikipedia, in italian, you will get a history of Lucera. Someone named mario marincola wrote a book about the dauni, ardea and lucera where he theorized that the people from Lucera came from Troy, via ardea, via the Luceres tribe of Rome. Lucera was sacked several times, but my ancestors went to Biccari likely around 680 when constans 2 sacked it. The lombards ruled it around that time. Perhaps the ancestors to robert the strong went north with a lombard contingent when constans 2 sacked Lucera. I have been researching the Merovingian's, and trying to trace their linage for a series of vids that I am making. Louis XVI apparently descended from Merovingian's on his paternal side. I have been trying to separate the myth from the fact, and at this stage Im near bewildered! The Merovingian dynasty began with Merovee, which was not his real name, but one he adopted. Merovee means "From the Sea". He claimed that his mother was raped by a sea monster and he was the result. A Fisher King/Poseidon/Neptune were among the deities he claimed were his Father. After Clovis converted to Christianity, Merovee's claims were discarded, and they instead decided they were from the Kingly Messianic line of King David. It is my thinking that to justify their divine right to rule, they had to invent divine ancestors! I thought that the DNA of Louis might help my research, but it seems to have confounded matters. I am an absolute "DNA" idiot, trying to decipher these lines is proving very difficult for me. The G2 linage seems simple enough, it was common to the Franks and would link the Merovingian's to the Basques, and inhabitants of the Iberian Peninsula. However, the N1b line is proving more difficult. The Jewish people in an effort to connect the lost tribes, seem to have done much DNA research, and the N1b type according to their findings, seems to be quite unique to the ASHKENAZI Jews of Germany. To be honest, I suspect much of what I have read on this, and think it may be a little bias. Many seem to be suggesting the N1b type backs up the biblical claims that they are from some kind of divine linage. I would be really grateful if anyone could help me out on this. I had the entire script for the vid finished, I thought a few days on this matter would finish it, a week later and I am more confused that when I started! Sorry, N1B with 16176-G is not Jewish, however 16176-A is Jewish. Ontzi the Iceman 30,000 yrs ago. how do I believe in any religion concocted after Ontzi? What's the source for King David and Freud?